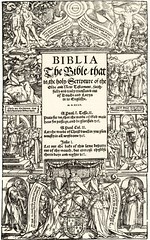 Myles Coverdale (* Coverham, Yorkshire (England) c. 1488 † Jan. 20th, 1569 London (England)) published the first complete English Bible in 1535. 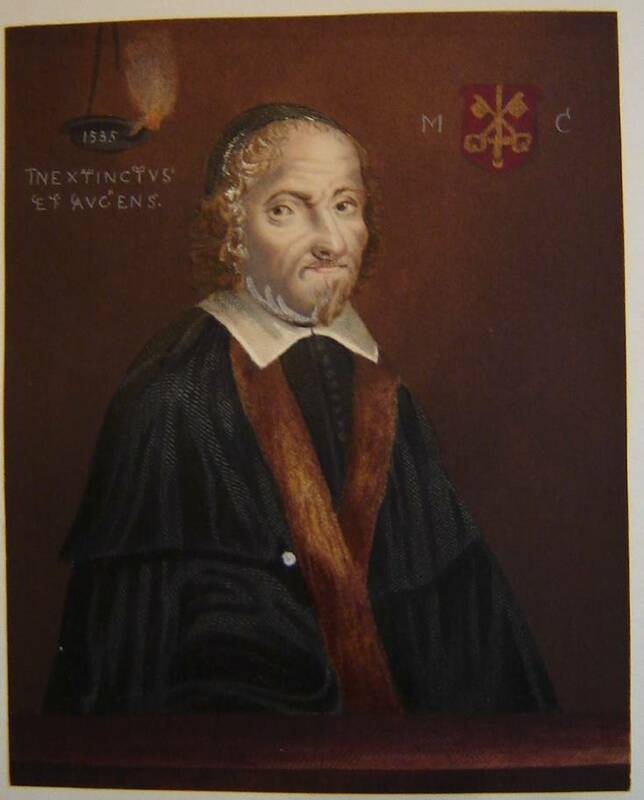 He made use of the work of William Tyndale and translated the remaining portions from the German and Latin. 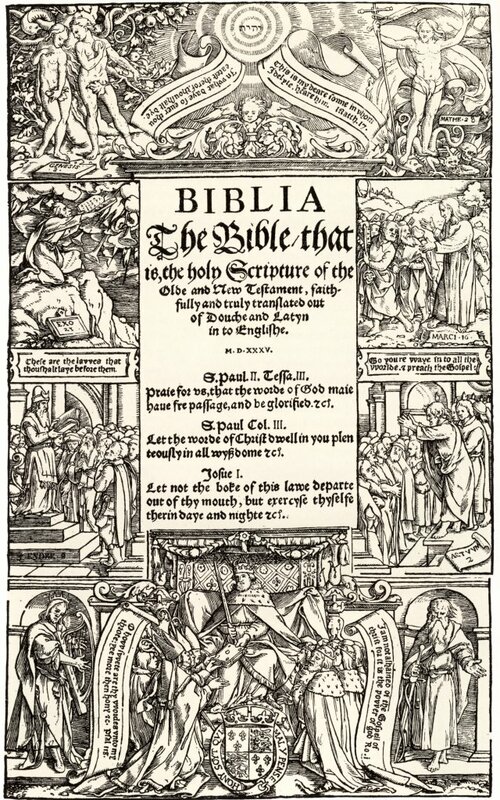 The Coverdale Bible was also a favourite of King Henry VIII's second wife Anne Boleyn. 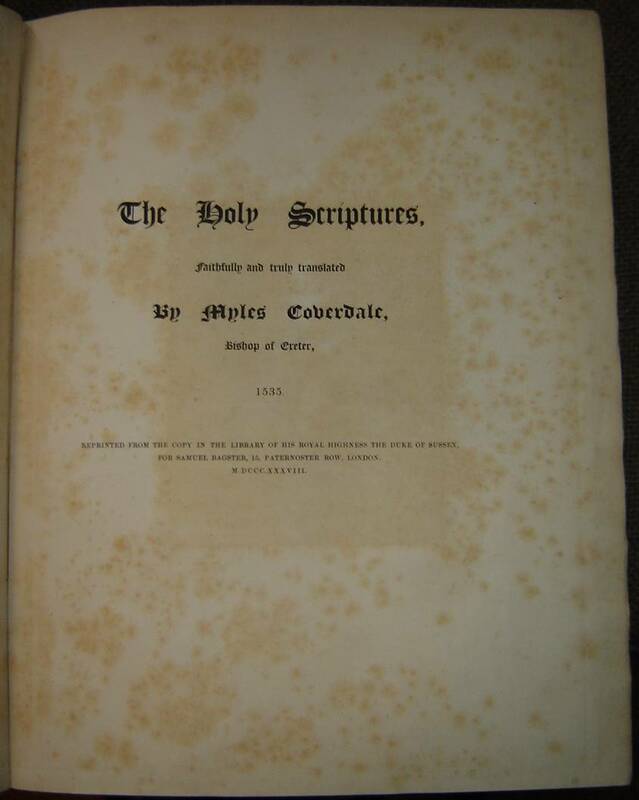 For more information on Coverdale and his work see the Bible Research Site. 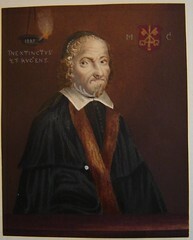 Publisher: E. Cervicornus and J. Soter?:Cologne? References: Chamberlin 2-3; Herbert 18; Taliaferro-BVE CN00003, Taliaferro-EELBV 7020. Comments: This is the first complete Bible to be printed in English. Images: Title page (Image from www.bl.uk), Title page. 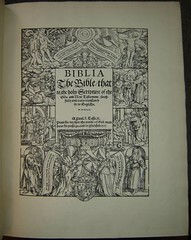 Recent Sales A single leaf from this edition sold for $894.95 on May 29, 2012 (Ebay No. 120917493576). References: Chamberlin 2-3; Herbert 18, 1825; Taliaferro-BVE CN00003, Taliaferro-EELBV 7020. 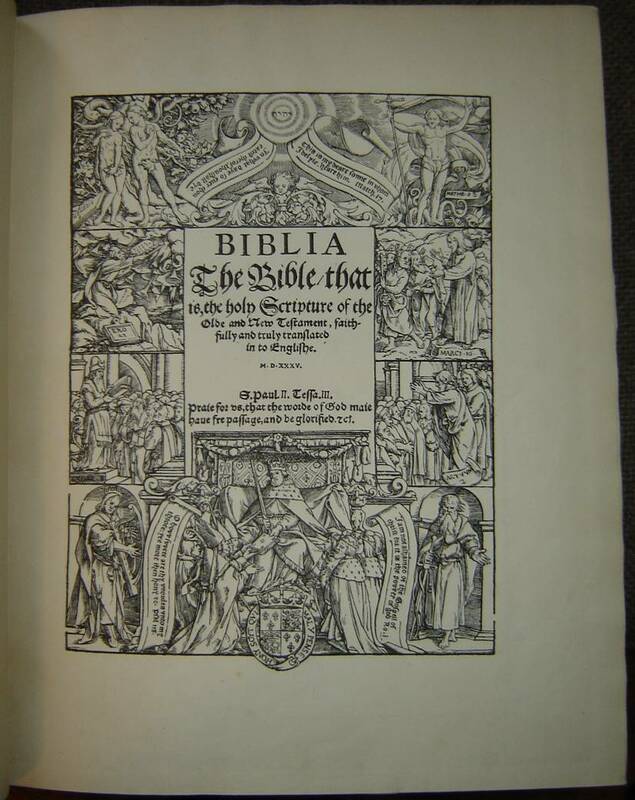 Comments: This book is a reprinting of the first English Bible but is not a facsimile. Recent Sale A copy of the 1838 reprint sold on Ebay for $1,402 on September 29, 2008 (Ebay #310085295122). Comments: This is a print from a pdf– file. 106 pp. Scripture text in single column, paragraphing form. Verse numbers are dispensed with. 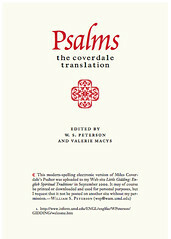 The traditional Psalm– headings from the Vulgate are retained, instead of those from the Hebrew. 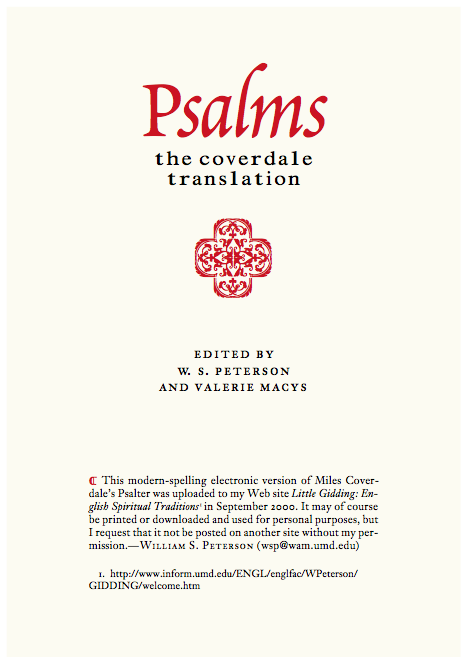 »This book is intended to be a very conservatively revised edition of Coverdale’s Psalter as it has appeared in the Book of Common Prayer since the seventeenth century. The changes that we have made are minor and are intended to eliminate those elements that might confuse or weary modern readers.